A quick Google search will turn up lists of the worst jobs in the United States, ranging from simply gross (like tasting pet food) to the most dangerous (logging, according to the Bureau of Labor Statistics). We would like to add our vote to the list: calculating sales and use tax. Once you get that far, you’ll spend a significant amount of time figuring out tax jurisdictions. At what level do you determine sales and use taxes: the state level? The county level? Within a particular ZIP code? The answer to all of these is yes and no. Some states charge no sales or use taxes at all, others have different levels of sales versus use taxes, and still others have taxing jurisdictions that can vary by city or even from street to street. Keeping track of it all could easily become a second career – which is where we come in. The GetBestMatch operation that can analyze even bad addresses to obtain accurate tax data, often at a more precise level than ZIP codes. We’ve also added full support for US offshore postal territories such as Guam and Micronesia. For a deeper dive, read our post on FastTax improvements, written by Jonas Shaefer, Director of Engineering. As always, our real-time API capabilities allow seamless integration with your sales and order entry automation environments. with a focus on data quality and ease of integration. We support REST, SOAP, GET and POST requests in XML and JSON formats, compatible with all major programming languages. Want to see for yourself? Check out our Developer Guide and sample code segments online. You can even get a free trial key to test in your developer environment right now on FastTax’s product description page. With the help of Service Objects, calculating sales and use tax is no longer one of the worst jobs in America – except for our engineers and data source partners, of course. (But don’t worry, we actually enjoy it.) Need more information on implementing FastTax with your applications? Contact us to speak with one of our product experts, and we’ll help make your sales and purchasing work is a lot less taxing. If you sell products nationally, do you need to collect state or local sales taxes? The answer may be more complicated than you think. In the United States sales taxes are levied at the state and local level, and normally need to be collected by you for sales in state(s) where you operate. (Fun fact: in other states they are often still due from the consumer, through what are known as consumer’s use taxes. The question becomes whether you, as a business, need to collect them at the time of sale.) As for these other states, your obligation to collect sales taxes depends on whether you have what is called nexus in these states. Employees and contractors. According to the Sales Tax Institute, having a “representative, agent, salesman, canvasser, or solicitor” in another state who is under your control, even temporarily, can create nexus. And in some states any telecommuting employee – selling or not – may trigger nexus. Selling online. Laws are changing to recognize the huge shift in retail commerce from Main Street to online merchants. Thanks to a recent June 2018 Supreme Court decision, states now have the option of requiring online sellers to collect sales taxes for their states. In addition, more than 20 states now have what is known as “click-through nexus” for cases where you pay referral fees to in-state affiliates for sales via their web pages, usually triggered by a specified minimum volume of sales in that state. Trade shows. If you sell products or solicit business at an out-of-state trade show – for example, by having a booth in the exhibitor hall that sells products or distributes literature to attendees – you may or may not be on the hook for sales tax nexus. State rulings vary widely, and while most differentiate between selling activities at a conference versus simply listening to speakers and eating mediocre banquet food, even one day of marketing activities can trigger nexus in some states. This brings us to an important closing point: determining your sales, local and use tax obligations isn’t a job for amateurs. If your business is large enough and does business nationally, it makes sense to contact a tax professional for guidance on where your business has nexus. Once you have determined where you have nexus, you also need an automated tool to help you navigate a potential maze of state, local and special tax rates for each customer. Tax rates change constantly, and can literally vary from street to street within the same ZIP code, so this isn’t a do-it-yourself project for most businesses. Our DOTS FastTax service provides accurate, detailed tax rate data on an address-by-address basis, using an API interface that integrates seamlessly with major marketing or CRM platforms. Want to learn more? Contact our experts to discuss your specific sales tax needs. Cyber Monday is Coming. Is Your Business Ready? In 2017, Cyber Monday sales reached an all-time high – and trends show that we may see another record-breaking year. Service Objects broke its own record last Cyber Monday with the most transactions in a single day. Why were our data validation tools so in-demand? Because excited customers rushing to score online deals make lots of data entry errors. Capturing authentic contact data helps businesses avoid mistakes in the ordering and shipping processes and prepares them for future opportunities, like marketing campaigns and additional sales. Data validation services enhance data quality in real-time by identifying and correcting inaccuracies. For example, order validation not only verifies that an order is legitimate, it also corrects and appends contact data like name, address, email, and phone number using up-to-date, proprietary databases. Cross-referencing IP, address, phone, email, and credit card information helps every aspect of your business – from making ordering and shipping efficient to helping flag identify fraud and verifying email addresses for future communications. Validating an order at point of sale helps smooth out transactions for customers by suggesting more accurate addresses and updating typos. Adobe Insights reported that Cyber Monday sales grew 16.8% from 2016 to 2017 reaching $6.59 billion, $2 billion of which were completed on a mobile device. Because we make five times more mistakes on mobile than desktop, fat-fingered typos and autocorrect issues are becoming more prevalent. Order Validation can also help prevent fraud in real-time by verifying that customers are legitimate through cross-checks of contact data, IP address, and credit card information. These verifications can flag suspicious activity related to identity theft and high-risk prepaid cards, which helps avoid related chargebacks. Fraud hurts businesses through lost product, money, and hours managing the fallout – the best way to avoid those costs is through preventative measures, like validating orders before shipping. With last year’s record sales came unprecedented shipping demand, and shippers like UPS struggled to meet delivery expectations all over the country. Customers anxiously awaiting their packages took to Facebook and Twitter to air their grievances, but while UPS was the bottleneck, many angry tweets were directed at vendors. Given the rising trend in Cyber Monday sales over the years, it’s likely this year will bring even more orders, shipments, and delivery-related problems. Using a CASS certified address validation service, like the one incorporated in Service Objects’ DOTS Order Validation API, can help ensure that your shipping addresses are correct and deliverable. The service can be implemented to help customers self-correct inaccurate information before submitting their order, or can be used post-transaction to ensure accuracy by finding issues and suggesting corrections before shipping. The holidays are a stressful time, and shoppers have hard deadlines when ordering gifts in November and December. According to the National Retail Federation, 38% of consumers expect free two-day delivery when making online purchases. Address verification helps meet these expectations, cutting down on service inquiries for delayed packages. Order Validation also validates email addresses and phone numbers, ensuring notifications reach shoppers and giving your customer service representatives everything they need to communicate effectively. Precise contact data saves your customer service team time troubleshooting and appeasing upset callers, strengthens your relationship to promote repeat business, and helps you manage your reputation. And, in the off-chance that something does go wrong, your team will have the most up-to-date order information to handle the call and assure your customers that you care. Data quality plays an important role in managing the risks of high-volume transaction days like Cyber Monday. The best way to ensure contact data doesn’t get in the way of your biggest sales day is by validating and verifying transactions with a service like Order Validation. You can even try it out today with a free trial key. If you are an online retailer, your world just changed in a big way. In a narrow 5-4 decision, the United States Supreme Court recently ruled that states now have a right to force out-of-state business to collect and pay sales taxes on sales to their customers. This means that if you do business nationally, you may soon be responsible for sales taxes in any state where you have customers. This article is a guide to how this new ruling may affect you, and what you can do about it. First, let’s start with a little history. This latest Supreme Court ruling in Wayfair vs. South Dakota overturns this precedent, on the grounds that it no longer reflects the economic reality of today’s massive online retailing environment. Quarterly retail e-commerce sales have grown nearly fourfold over the last decade to just under US $125 billion per quarter in Q1 2018 (and a record $452 billion annually in 2017), while annual sales are projected to nearly double to US $638 billion between 2016 and 2022 – on the order of 20% of total retail sales. These figures represent a lot of tax revenue for states to leave on the table, and few states want to see these revenues decline every year. And in recent years, 31 states have found loopholes for collecting these taxes anyway, by either tightening the definition of “nexus” (for example, paying commissions to referral websites in that state) or requiring documentation and reporting of large purchases. But now, the Supreme Court has cleared the way for any state to simply require sales tax collection. For now, everyone is waiting to see how states will respond to this new ruling. New legislation will take time to be crafted and approved. And small business may catch a break: for example, in the case at hand before the Supreme Court, South Dakota only required sales tax collection for sales volumes in excess of $100,000 or 200 transactions per year. But given how 40 states had petitioned the Supreme Court to rule in favor of this – and bricks-and-mortar businesses have railed against the unfair tax advantages of online sales – it is a safe bet that more sales tax collection with be in the future of many businesses. Another wild card will be how states treat tax rates for out-of-state purchases. Inc Magazine points out that there are currently close to 10,000 separate taxing jurisdictions in the United States, giving one example of how sales in Chicago require the collection of four distinct taxes – a city tax, county tax, state tax, and an additional “special” tax. States may mandate the use of the same tax levies as in-state purchases, although there have also been calls to simplify out-of-state sales tax rates. Needless to say, this ruling promises to increase the costs and complexity of selling products across state lines. But for most businesses, the rational choice is to automate the computation of sales tax rates. Service Objects’ DOTS FastTax service provides real-time sales tax data based on your customer’s contact information. Synchronized with tax authorities nationwide, FastTax integrates address validation and geolocation to guarantee accuracy, in a world where tax rates can very from street to street. We can’t stop the evolution of retail buying patterns and e-commerce. Nor can we control what happens with sales tax policies from here. But we can make both of these things much less frustrating, with solutions that integrate directly with your CRM or marketing automation software. Contact us today to learn how FastTax can help put much of your tax compliance on autopilot, now and in the future. Some things are just better together. Like milk and cookies. Or peanut butter and jelly. Or, if you do online sales and marketing, ecommerce platforms and data validation services. Our IP Address Validation tool also lets you detect the location of a visitor to implement additional security rules for high risk countries, such as only allowing certain types of payment or restricting sales to high-fraud destinations. You can also compare the location of the IP address against the billing and shipping address, and flag discrepancies for further review. Using BIN Validation to identify high risk cards like prepaid and gift cards, especially for multi-payment and membership products and services. This tool can also help you compare the issuing bank and country with the billing and shipping location. Using Email Validation to flag questionable or fraudulent email addresses. Using GeoPhone Plus to match the address for a customer’s phone number against their billing and shipping details. Finally, our advanced Order Validation tool is a comprehensive and composite service for fraud monitoring, performing multi-function verifications including address validation, BIN validation, reverse phone lookup, email validation, and IP validation. Our proprietary algorithm performs over 200 tests and returns a 0-100 quality score on the overall validity and authenticity of the customer, flagged for pass, review or fail. For customers in the United States and Canada, our FastTax product can provide you with up-to-date sales tax rates, as well as identify the correct tax jurisdiction and boundaries based on location. In some jurisdictions tax rates even vary on different sides of the same street, and we can catch this! By checking addresses, you can ensure cost-saving delivery rates, avoid returned shipments, and ensure customer satisfaction by getting their order to the right place on time. Our flagship Address Validation services for the United States, Canada and international addresses validate and correct addresses in real-time to ensure customers have entered a correct (and deliverable) address for the USPS, FedEx and UPS. Our US service is CASS certified and includes Delivery Point Validation (DPV) to verify an address is deliverable, Residential Delivery Indicator (RDI) to identify residential versus business addresses, and SuiteLink (SLK) to add secondary suite information for businesses. For Canada, we can validate and correct addresses whether they are in English or French, with an output that meets Canada Post standards. For international addresses, we can instantly correct, standardize and append addresses for over 250 countries, adapted to each country’s postal formats and cultural idiosyncrasies. You can also use our address validation tools to create an address suggestion tool that includes validation. Another use for US address verification is that it can identify general delivery address (i.e. PO boxes). Some sellers choose not to deliver to PO boxes, present different shipper options, or ask the buyer for a different address. Conversely, it can also detect incorporated areas versus unincorporated areas where the USPS will not deliver, allowing you to create logic that doesn’t present the USPS as a delivery option for these types of addresses. In addition to improving deliverability, these verifications can also improve your bottom line by keeping more orders in your online shopping cart: a frequent customer complaint is being told that they cannot order from a site because USPS-only verification logic says their address is undeliverable. UPS and FedEx can normally deliver to most US doorsteps, and our capabilities can help you close these sales as well. Our Email Validation service helps make sure that you capture the correct email address at the time of entry, ensuring that all future communications reach the customer. It catches common typographical errors (like gmial.com instead of gmail.com) as well as bogus email addresses. And when accounts are created using the customer’s email address as the primary key or account id, this tool helps ensure that you can catch mistakes while they are still easy to correct. The benefits of integrated data validation don’t stop when an order goes out the door. Regular validation and cleaning of your contact data, for customers and prospects, will streamline your future marketing efforts – not to mention helping you comply with consumer protection and privacy regulations. 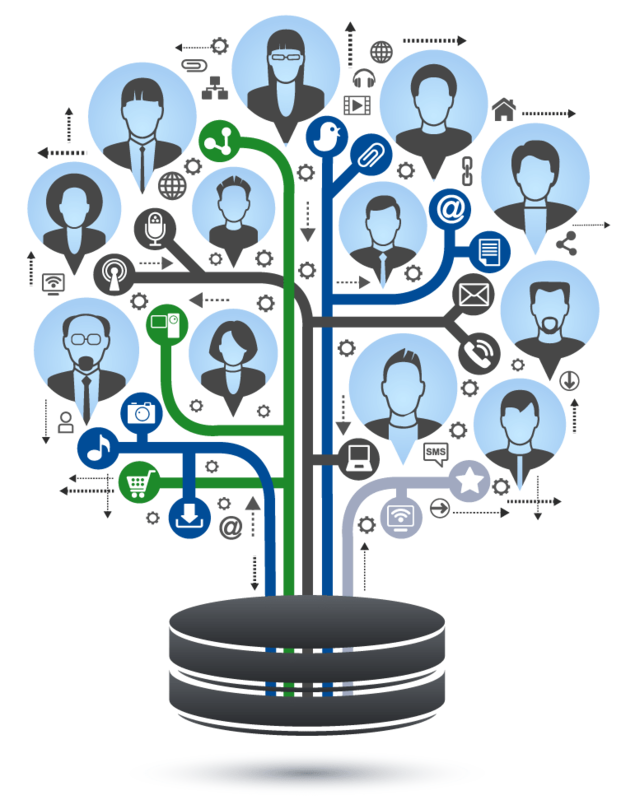 And our customer insight and demographics tools can help you leverage this contact data as a valuable asset for serving your customer base even better. For each of these capabilities, it is easy to integrate our services into almost any ecommerce platform. Most of these systems offer a plugin, RESTful API, or exposed interface to integrate with our services, including cloud connectors and web hooks, and any application that can call a web service can obtain output from our services in either XML or JSON formats. And we recognize that not all shopping carts are built alike, with needs varying from mom-and-pop online stores to full-scale enterprise level platforms, so take advantage of our extensive documentation and support to get you going. Of course, our tools also stand alone, with convenient batch processing options for cleaning up legacy data in list form as well as quick lookup capabilities. But if you have an automated solution for your ecommerce capabilities, our services can power up the accuracy, quality and productivity of your marketing and sales efforts. Learn more on our website, or contact us anytime to learn more! Do we support your ecommerce system? Yes we do! Here is a list of many of the popular ecommerce systems that we interface with. And new interfaces are coming online all the time, so if you don’t see yours on the list, talk to us! Online Fraud is Growing. What Can Your Business Do? What is one of the biggest growth industries in the United States today? Hint: It isn’t something most of you would want your kids to major in at school, unless you want them to go to the state pen instead of Penn State – because this rapidly growing industry is online fraud. Estimates vary, but recent figures from DigitalCommerce360 project the value of eCommerce fraud nearly doubling from US $10 billion to $19 billion between 2014 and 2018, as the eCommerce market continues to grow from a historic peak of US $2.3 trillion in 2017. One particular area of fraud, account takeovers, jumped 45% in Q2 of 2017 alone according to the Global Fraud Index, and these fraudulent pirated accounts represent one of the top three types of online retail fraud. Domestic and cross-border orders have exactly the same rates of fraud among companies surveyed – just under 1% – however nearly twice as many cross-border orders get rejected, costing valuable revenue as well as damaging customer relationships. The costs of manual transaction review are one of the major financial consequences of online fraud. Nearly 80% of companies conduct manual reviews, impacting an average 25% of their transactions – and yet nearly 90% of these transactions are ultimately accepted. The costs of manual review hits smaller companies particularly hard, where companies under US $5M in annual revenue review nearly six times the percentage of transactions (47%) as companies greater than $100M (8%). The uptake of all of this? Guarding against eCommerce fraud is really a two-pronged effort: reducing online fraud itself, and reducing the revenue lost to the indirect costs of fraud. For both of these issues, the key is implementing effective automated solutions. Other tools fall into the category of leveraging existing customer data, such as credit history checks, customer order history, or two-factor phone authentication using previous device information on file. Cyber-fraud is growing explosively nowadays because the market for it gets more lucrative every year, and combating it requires tools that keep you one step ahead of the fraudsters. Service Objects’ fraud prevention capabilities have the advantage of leveraging authoritative up-to-the-minute third-party data, such as USPS CASS Certified® address validation capabilities, global address validation that verifies and corrects international mailing addresses to the unique requirements of each country’s postal address formats and cultural idiosyncrasies, and IP validation that helps you ensure that the origin of an online order correlates with billing and shipping locations. In addition, we offer lead and order validation capabilities using multi-function verifications that give you a quantitative quality score you can use to automate your order processing decisions. We offer a free consultation to help you determine what tools can help protect your revenue stream. Contact us today to learn what we can do for you. At Service Objects, we know that data quality excellence is the key to helping retailers feel confident about improving delivery rates while reducing fraud associated with vacant addresses, PO boxes and commercial mail handlers. This, in turn, helps maintain higher customer satisfaction ratings among your legitimate customers. This video, featuring Service Objects’ Founder and CEO, Geoff Grow, will show you tools you can use to improve the deliverability of your products and combat fraud. You will learn how to validate addresses against current USPS certified address data to prevent undeliverable and lost shipments, as well as how to validate a customer’s IP address against the billing and shipping information they provide, using data from over many authoritative data sources to stop fraud before it happens. Christmas is, of course, a major religious holiday celebrated around the world. And also one of the busiest and most profitable times of year for your business. But do you know how it first got that way? Many people credit author Charles Dickens and his story A Christmas Carol with helping Victorian England, and later the world, see Christmas as a time of gift-giving and family connection. His mid-1800s story focused on how a lonely miser, Ebenezer Scrooge, learned to avoid the fate of his partner’s eternal torment when the ghosts of Christmas Past, Christmas Present and Christmas Yet to Come taught him to focus on what really matters – other people. First, the ghost of Christmas Past showed Scrooge what life was like once upon a time at the holidays, when employees were happy and the company took good care of everyone – before Scrooge eventually presided over a joyless, high-pressure workplace. Just like what happens when your own performance pressures put data quality on the back burner, something a recent executive survey showed as being a major concern. Next, the ghost of Christmas Present warns Scrooge that unless he changes his priorities, his neglect of others will harm people like the humble Bob Crachit and his ailing son Tiny Tim – much like your business can ruin the holidays for your customers when bad contact data causes service failures. Finally, the ghost of Christmas Yet to Come paints a grim picture of a world where Scrooge is dead and no one cares – the same way that people turn away from your business and never return when you don’t deliver what you promise. What do these lessons have to do with your own holiday rush season? Everything. You see, most people in most businesses focus on doing their individual jobs, like entering orders or shipping products. But what about the greater mission of making sure that everyone gets what they need from you, particularly at the holidays? Too often, that is someone else’s job. Which means it becomes no one’s job. And service failures, such as packages that never arrive or contact information that isn’t correct, just become a fact of life that gets tolerated by everyone. The ghosts of Christmas taught Scrooge that he had to learn to care, or face the consequences. The same is true for you and your business at the holidays. And the best way to care for your customers – particularly when things are at their busiest – is to put processes in place that make sure the customer comes first. At Service Objects, we help the holidays go smoothly with tools that range from simple address validation – fueled by up-to-date real-time data from the United States Postal Service and others – all the way to complete order verification capabilities that authenticate customers and guard against fraud. We can even append information such as phone numbers to your contact data, to help you keep in touch with people, or gain geographic and demographic insight that lets you serve people better in the future. All through automated processes that run seamlessly in your applications environment. The lesson for Christmas, then and now? Don’t be a Scrooge. And let the holiday season be a time when your business shines for everyone. Cyber Monday 2017 was a busy day for many online retailers, including Service Objects. We were so busy, in fact, that we processed a record number of contact data validation transactions. Looking at the online shopping stats, we shouldn’t be surprised. According to numbers released by Adobe Insights, shoppers spent 16.8% more in 2017 than on Cyber Monday 2016, setting a new online record of $6.6 billion in sales. The mobile sales record was also surpassed, reaching $2 billion over a 24-hour period. So why did Service Objects’ break our own record? Because our contact validation services play a vital role in the online shopping process for many merchants. We enable retailers to verify that an individual’s contact information is genuine, accurate and up-to-date. In addition, by validating a person’s name, address, phone number, email and device, businesses significantly increase package delivery rates and considerably increase their ability to detect fraudulent transactions. In fact, some of the largest retailers in the world use Service Objects’ real-time contact validation services. While consumers were busy breaking sales number records on Cyber Monday, Service Objects’ customers processed over a million more transactions on that day than previous years, making it the largest day in our history. And we see this trend continuing. As online shopping continues to capture a larger percentage of retailers’ overall sales every year, Service Objects will play a vital role in ecommerce by providing the ability for merchants to validate and clean their customer contact data against hundreds of authoritative data sources – all in a blink of an eye. It also doesn’t hurt that we have a 99.999% server uptime guarantee, unlimited no cost technical support and bank grade transaction security. For more information or to test any one of Service Objects’ 23 contact validation solutions, please visit https://www.serviceobjects.com/products. Do you sell products online? If you do, you have a great opportunity in front of you. An opportunity to boost revenues, increase market share, and create visibility for your business. Or an equally great opportunity to drive away customers, damage your brand, and lose money to fraud. This opportunity comes once a year, in the form of the Black Friday and Cyber Monday holiday shopping period. Using figures from Adobe Digital Insights, Fortune Magazine noted that Cyber Monday 2016 was the biggest online shopping day in US history, with sales of $3.45 billion – a jump of 12% from the previous year. The traditional post-Thanksgiving shopping day of Black Friday came in a close second, with $3.34 billion of online sales in 2016, putting it on track to eventually surpass Cyber Monday as shopping channels continue to blur. The good news is that both Black Friday and Cyber Monday each represent more than three times the volume of a normal online shopping day. And beyond sheer sales volume, these holidays traditionally draw new or annual shoppers online – people who are openly searching with an intent to purchase, with a great opportunity to discover your brand and become long-term customers. Unfortunately, it is also open season for fraudsters. Online e-commerce fraud increases sharply during the holiday season, with fraudulent transaction rates reaching a peak of 2.5% versus a normal rate of 1.6%, against an average transaction value in excess of $200. The rise of chip-enabled cards has pushed even more fraudulent activity online in recent years, with online fraud attempts rising by 31% between 2015 and 2016. And there are risks associated with your legitimate customers as well, where problems such as missed deliveries or incorrect contact information can lead to problems ranging from lost business to poor social media reviews – particularly in the spotlight of the holidays. Screen out the bad guys. Prevent fraudulent transactions by using multi-function order verification to check for things such as address validation, BIN validation, reverse phone lookup, email validation, and IP validation, returning a measure of order quality from 0 to 100 that you can use to flag potential problem orders before they ship. Execute orders correctly. Use address validation to verify and correct shipping information against up-to-date USPS, Canada Post or international address data, to ensure every order goes to the right place on schedule. Keep your contact data working for you. Did you know that 70% of contact data changes every year? Validating and correcting this data every time you use it in a campaign preserves this valuable contact information as a business asset. Target your marketing. Validate the legitimacy of your marketing leads, and check for appropriate demographics such as income and geographic location, to make your outreach for the holidays as efficient as possible. Thankfully automated data quality solutions that can be engineered right in your API, or run as convenient batch processes with your existing data, can make optimizing the value of your contact data a simple and cost-effective process. And in the process, make Black Friday and Cyber Monday a little less scary – and a lot more profitable. Customer Service Above All. It is one of our core values here at Service Objects. Recently, we’ve received several requests for a list of the unique zip codes throughout the US and Canada. By leveraging our existing services, we’ve made this happen. We are now offering both the US and Canada list as a free downloadable resource. So why is Service Objects providing this data? Our goal is to provide the best data cleansing solutions possible for our clients. Part of this means using our existing data to provide our users with the data they need. While other data providers might charge for this type of information, we’ve decided to make it freely available for anyone’s use. These files can be used for several purposes, such as pre-populating a list of cities and states for a form where a user needs to enter address information. The County and State FIPS information is widely used in census and demographic data or could be used to uniquely identify States and counties within a database. Additionally, the given time zone information can be used to determine appropriate times to place calls to a customer. allows you to access a .zip file containing two CSV records. One CSV contains the US information, the other is for Canada. The files indicate the month and year the records were created. Toward the middle of each month, the data in each record will be updated to account for any changes in US and Canadian postal codes. What other information is in the files? Both files will have postal codes, states (or provinces for Canada) and time zone information. The Canadian zip code file will be much larger in size with over 800K records. This is due to Canadian Postal Codes generally being much smaller than US Postal codes. Where a US postal code can sometimes encompass multiple cities or counties, a Canadian postal code can be the size of a couple city blocks or in some cases a single high-rise building. The US file has information for all United States postal codes including its territories. This file will also include the county that the zip code lies in. There will be County and State FIPS numbers for each of the records to help with processing that information as well. The US file will be considerably smaller than the Canadian file at only 41K records. In making these files freely accessible, our hope is to make the integration and business logic easier for our users. If you’d like to discuss your particular contact data validation needs, feel free to contact us! DOTS FastTax web service provides sales and use tax rate information for all US areas based on several different inputs. The operations that are offered within FastTax take input parameters such as address, city, state, postal code. The service also provides an operation that will take your Canadian province and will return the proper Canadian tax rate information. At its core, FastTax is an address to tax rate lookup system. You provide the service with a location and it will return the tax rate or rates for the given area. From there you can use this data in conjunction with your own business logic to easily determine the proper tax rate you should be charging. A common use case is for online retail companies that need to determine the rate to charge for an order. Rates vary greatly depending on where the client is located and if the company has a sales tax nexus in that state. Nexus, also known as sufficient physical presence, is a legal term that refers to the requirement for companies doing business in a state to collect and pay tax on sales in that state. Calculating the proper rate is as easy as determining where your company has nexuses and then performing a tax rate look up via the FastTax web service. These two steps can be done programmatically, thus streamlining your business workflow. What makes FastTax so powerful? It may seem like a simple task to take an address and perform a lookup on a tax rate database. In theory it is just identifying a location and then finding the relevant tax rates for it. However, in reality there are many more factors that need to be accounted for to ensure the tax rate being returned is accurate, up to date, and truly relevant for the input address. It is in these aspects where Service Objects’ FastTax goes above and beyond. On top of our tax rate databases that are actively maintained to provide the latest and most accurate tax rate data, our operations benefit from the other services we specialize in. Namely, our address validation and address geocoding services. How does FastTax go above and beyond? Through the use of our address validation engine we are able to take an input address and determine its correctness as well as standardize it into its most useable form. Having an address corrected and standardized allows us to more accurately match the location with its corresponding tax rate. On top of address validation, our use of geocoordinates and spatial data allow us to identify boundaries between areas. This could be the difference between charging the proper rate for an area or misidentifying it and missing rates such as county, country district, city district, or even special district rates. Another extremely important distinction that geocoordinates allow us to make is for areas that are unincorporated. FastTax provides an “IsUnincorporated” flag when an address is in an unincorporated area. This allows for your business logic to correctly tax this address by removing any city or city district rates. To see the power of FastTax in action it helps to take a look at Google Maps. Let’s take the city of Littleton, Colorado. In fig.1 the city perimeter is outlined in red and its contents shaded in. 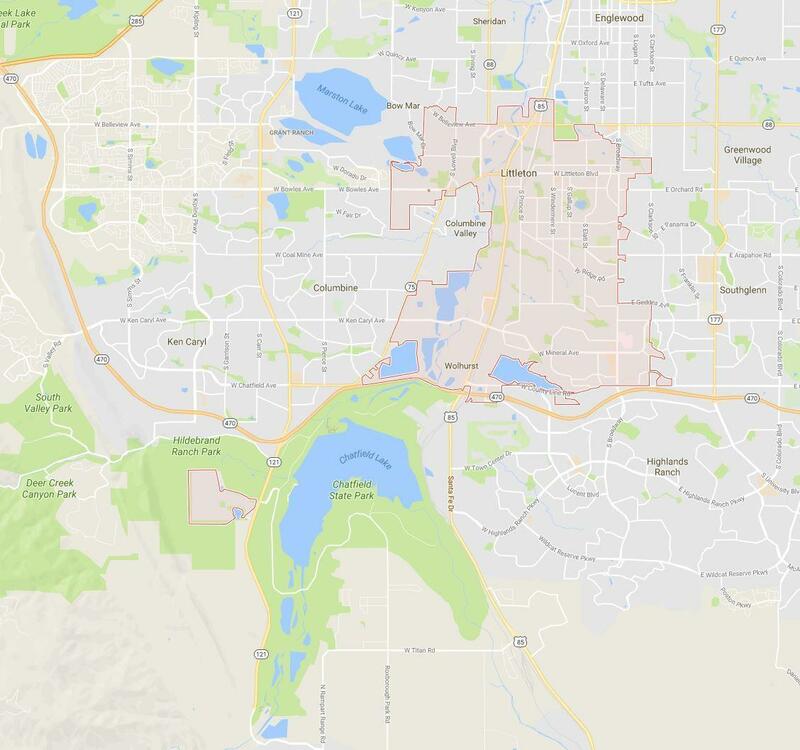 The Google Maps result shows the officially recognized city limits. Comparing that to the pin shown in fig.2 it is clear that the address in this example falls beyond the city limits. 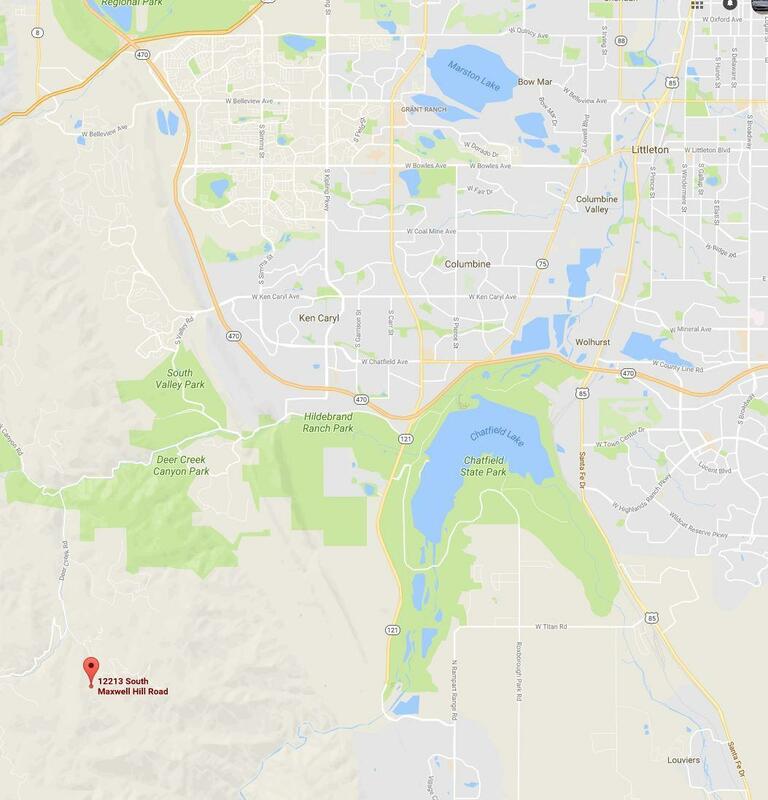 Technically it is identified as part of the city of Littleton but is part of an unincorporated area. Tax rates for this address need to properly account for this geospatial and city boundary information. FastTax excels in identifying these areas and can provide the “IsUnidentified” flag to indicate this address falls into its own special case. With the indicator flag in hand you can properly account for the difference in tax rates. See how FastTax can help your business. Sign up for your free trial key or send us a list and test up to 500 transactions. Here at Service Objects, we strive to improve our services to best meet our customers’ needs. Sometimes that means adding additional features and upgrades, tweaking an existing service and/or operation, leveraging new datasets, or adding an entirely new service. We take pride on being able to quickly and effectively respond to our customers’ feedback and requests. Part of this response to client feedback has led us to develop a new operation upgrade for our DOTS BIN Validation service. It is called ValidateBIN_V2. This new feature represents the latest and greatest that our BIN Validation service has to offer. DOTS BIN Validation service is used to help determine if a certain BIN (the first 6 digits of a credit card number) is valid or not — a crucial step in fighting fraud. BIN validation also helps merchants determine if a credit card number is for a debit card, credit card, gift card, or prepaid card. Likewise, the BIN number will identify the country of origin for the card, providing you with insight as to the validity of the transaction. This new BIN operation upgrade builds on the previous operation, providing even further information about a BIN. By design, and to ensure that we’re giving our customers quality information, the V1 BIN operation returns information about a BIN only if bank information can be found about it. Instead of failing a BIN or providing an error response, ValidateBIN_V2 displays any information about a BIN that we can find. The V2 operation upgrade will return a “Status” field indicating “OK” for BINs we were able to find or “Not Found” for BINs that we weren’t able to find or that don’t exist. The V2 operation will return the same card type, sub type, bank, and country information that the old operation returned. Warnings — This field returns warning codes and accompanying descriptions about those warnings. The current service will only return warnings if the bank information, card type or country information is missing for a BIN. Notes— This field contains additional information. Based on the way we have set these fields up in our API, we can easily add new warnings and notes as we continue to improve our services. These fields allow us to return useful information about a BIN without affecting the current output structure of the API. Information Components — This field is set up in a way that allows us to future proof the ValidateBIN_V2 operation. If we need to add new fields, the Information Components field allows us to easily do so without altering the existing structure of the API. If you are interested in testing our BIN Validation API, sign up for a free trial key today! Dating experts will tell you that people have more problems committing than ever before. And nowhere is this more evident than in your online shopping cart. According to Barriliance, a vendor of online shopping cart optimization tools, over three-quarters of people abandoned their carts in 2016, with specific figures ranging from 73% on desktops to over 85% on mobile phones. Cart abandonment sounds like a term straight out of family therapy, but in reality it provides an important window on consumer behavior. Some factors for bailing out on a purchase may be unavoidable – for example, customers may window-shop on their phones to purchase something later, or become reluctant to purchase when they see high shipping charges or additional fees. But other factors are within your control, and these often revolve around data quality issues. Too much data entry. Your customer sees 20 ‘required’ fields to be completed to check out. Instead, they abandon the cart due to too much ‘form friction’. For greater conversion, we want to reduce the amount of friction wherever possible to promote a fast and accurate checkout process. Autocomplete tools can help lessen the friction, and are generally considered accurate, as they are based on the individuals’ contact information. Whereas, address-suggestors should be used with caution, as they can present the user with multiple address matches close to their own. This significantly increases the risk of the user accidentally selecting an incorrect but real address. This can also create increased confusion when credit card authorization fails due to mismatched address, further increasing cart abandonment. Regardless of the tool, Address validation should always take place after the customer uses autocomplete and/or address-suggestor, to reduce the risk that a wrong – but valid and deliverable – address gets used. Computer literacy. Often your richest target markets struggle the most with ordering things online – and too often, throw up their hands if there are too many hardships to placing an order. This means that cart recovery often revolves around being able to reach out to a customer and help them complete the order. By using phone validation and email validation tools, you can help ensure correct contact data is captured in the event that you need to call or email customers about incomplete orders, and hopefully convert some of these into completed ones. These contacts are generally very effective: for example, Business Insider cites figures from marketing automation firm Listrak showing that 40% of follow-up cart recovery emails are opened if sent within three hours. Payment information. When people pay by credit card online, they are usually entering 16-20 digits, and typos and bad information can quickly kill valid orders. A Luhn check, a real-time, simple checksum formula designed to distinguish valid numbers from mistyped or otherwise incorrect numbers, can help ensure the credit card number entered at least meets the basic criteria. You can also check the Bank identification number (BIN) to ensure correct credit card numbers, that have passed that Luhn algorithm, are legitimately issued by financial institutions even before trying to process the actual charge. This provides the opportunity to engage the customer at the time of entry and allow for corrections. As a bonus, BIN validation also helps screen out fraudulent payment information before you process the order and/or ship. Keep It Simple. The design, layout and even language used for your cart make a difference too. Kissmetrics notes that buyers can be turned off by faux pas ranging from bad design, making people create an account, or the process is too complicated. A simple, clean step-by-step guide can provide confidence for your shopper and increase your conversion rates as well. When there is an error, do not overlook the power of strong and informative error messaging. For example, if email validation returns a specific error, let the customer know the precise nature of the error and provide suggestions on how to fix it. A generic ‘error’ message is not enough. Finally, there is one kind of cart that always should be left behind: people who are trying to place fraudulent orders. You can use bundled tools such as lead and order validation to perform real-time multi-point contact validation on US, Canadian and International leads, comparing data such as name, company, address, phone, email and device against hundreds of authoritative data sources. The results provide both an individual quality score for each data point and a composite quality score (0-100), to ensure that you are working with genuine and accurate leads. Online order entry truly is a bit like dating. We can’t make everyone fall in love with us, or guarantee that they will make it all the way to the altar. But with the right kinds of tools, including building in data quality safeguards at the API level, we can boost our chances of success substantially. And that is something every online merchant can be in love with. In today’s era of online ecommerce, international sales represent a huge potential market for US vendors. According to research firm eMarketer, international sales represent three-quarters of a nearly US $2 trillion retail ecommerce market, nearly half of which comes from China alone. And much of this vast market is only a click away. On the other hand, cross-border sales remain one of the greatest risks for fraud, with a rate that was more than twice that of domestic fraud through 2012, and despite recent improvements in data quality technology this rate is still 28% higher as of 2015. And one digital commerce site notes that while retailers are making progress at managing fraudulent transaction rates, they are doing so at the expense of turning away good customers – people who, in turn, may never patronize these sites again. So how do you exploit a rich and growing potential market while mitigating your risk for fraud? The answer might surprise you. While nearly everyone preaches the importance of a fraud protection strategy for ecommerce, and suggestions abound in areas that range from credit card verification to IP geolocation, the head of ecommerce at industry giant LexisNexis points to one area above all: address verification. How many countries does the vendor support address formats for, and does this list include all of the countries where you do business? Can the application handle multiple or nested municipality formats? For example, a customer may list the same location in Brazil correctly as Rio, Rio de Janeiro, Município do Rio de Janeiro – or even the sub-municipality of Guanabara Bay. Will the application handle different spellings or translations for common areas? In the address above, for example, the country may be spelled as Brazil or Brasil. Likewise, the United Kingdom may also be referred to as England, British Isles, Karalyste, Birtaniya, United Kingdom of Great Britain and Northern Ireland, or even 英国 (Chinese for the United Kingdom, literally “England Kingdom”). Can these capabilities can be implemented as an API within your ordering application? Or can it process addresses externally through batch processing? In general, cross-border fraud prevention requires a multi-pronged effort involving all of the potential stress points in an international transaction, including international address verification, email validation, credit card BIN validation, IP address verification – even name validation, so you can flag orders addressed to Vladimir Putin or Homer Simpson. These are clearly capabilities that you outsource to a vendor, unless you happen to be sitting on hundreds of millions of global addresses and their country-specific formats. The good news is that in an era of inexpensive cloud-based applications, strong fraud protection is easily implemented nowadays as part of your normal order processing strategy. Online commerce is huge nowadays – to the tune of over $400 billion dollars a year in the United States alone in 2017, at a growth rate up to three times that of retail in general. Barriers to entry are lower than ever, ecommerce platforms have become simpler to use and less expensive than ever, and the convenience of e-commerce has grown to encompass businesses of every size. Above all, purchasing goods online has become ubiquitous among today’s consumers. Fraud. Filling orders from fraudulent sources costs you both revenue and time – and according to Javelin Research, identity fraud alone totals over $18 billion per year in the US. And the bad guys particularly love to target novice sellers. Fulfillment. Every online order starts a chain of activities – from billing to shipment – that depend on the quality of your contact data. Credit card processing often requires accurate address data, and one misdirected shipment can wipe out the profit margin of many other sales – not to mention the reputational damage it can do. Marketing. According to the Harvard Business Review, the cost of acquiring a new customer ranges from 5 to 25 times the cost of selling to an existing customer. This means that your contact database is the key to follow-on sales, brand awareness and long-term profitability. Which also means that bad contact data – and the rate at which this contact data decays– cuts straight to your bottom line. Tax issues. Did you know that tax rates can vary from one side of a street to the other? Or that some states have passed or are considering an “internet tax” out-of-state sellers? Tax compliance, and avoiding the penalties that come with incorrect sales tax rates, is a fact of life for any online business. A suite of tools for fraud prevention, including address, email and telephone verification, lead validation that scores prospects on a scale of 0-100, credit card validation, and IP address validation – so you know when an order for a customer in Utah is placed from Uzbekistan. Shipping address validation tools that verify addresses against up-to-date real-time data from the USPS and Canada Post, to make sure your products go to the right place every time. Email verification capabilities that perform over 50 tests, including auto-correcting common domain errors and yielding an overall quality score – improving your marketing effectiveness AND preventing your mail servers from being blacklisted. Real-time tax rate assessment that validates your addresses, and then provides accurate sales and use tax rates at any jurisdictional level. Each of these capabilities are available in several convenient formats, ranging from APIs for your applications to batch processing of contact lists. Whichever form you choose, automated data tools can quickly make the most common problems of online commerce a thing of the past. Tax rates not only vary across municipalities, but by district or even address. For example, in one case in Arizona, one side of a particular street has a different tax rate than the other side! Tax rates change constantly. According to CFO Magazine, there were nearly 800 changes to sales and use tax in the US in 2014. Once upon a time, your concerns about collecting sales taxes ended at the state border. Not any more. In Colorado, the so-called “Amazon tax” law now compels businesses nationwide to collect sales tax from Colorado purchases. It survived a recent Supreme Court challenge, and other states are now taking similar steps: Amazon.com, for example, now collects sales taxes for deliveries to 32 US states as well as the District of Columbia. Within a given area, the different tax rates geolocation might be using may include state, city, county, county district and/or city district taxes. The calculation of these rates can become complicated when you add ‘geography’ of the buyer/seller to the mix. Does the seller live in an unincorporated area? What tax rate(s) do you use for ecommerce? How do you know you are using the correct/current rate? The consequences of charging incorrect sales taxes are greater than ever. And not just from the authorities, but from John Q. Public. Nowadays anyone can check tax rates on their smartphones, which has led to expensive and embarrassing class-action lawsuits accusing major firms of overcharging on tax. Suits that have reached the court system in recent years include many high-profile plaintiffs including Wal-Mart, Whole Foods, Papa John’s Pizza and Costco. Meanwhile, state tax authorities have always asserted their authority in the case of tax errors. Since sales and use taxes represent a large portion of state revenue, states often devote dedicated resources to enforcement efforts, and can impose substantial penalties: California, for example, levies a 40 percent penalty on failures to pay sales or use tax. There are also costs associated with preparing for an audit and administering the results of these audits. Even when businesses err on the side of over-collecting sales and use taxes, the aftermath of an audit can involve time, manpower expense and costs associated with refunding sales tax over payments to customers, not to mention the customer service issues associated with the errors. Given the complexity of sales and use taxes, as well as the sheer volume of tax jurisdictions and annual changes to tax law, automated tools are a must for most businesses – including small business. Given the diversity of these jurisdictions, it is particularly important to use tools that compute these taxes based on geolocation, rather than just coarse metrics such as ZIP codes. This includes geocoding specific addresses, and determining unincorporated areas that may fall outside normal municipal tax boundaries. The best tax rate tools do the work for you by maintaining and updating sales and use tax databases, and integrating with your processes to determine the geolocation to apply the correct tax rates. For example, Service Objects’ DOTS FastTax takes over the hard work of tax validation and compliance, including accurate sales and use tax computation based on geolocation derived from street addresses as well as postal code information. FastTax then uses this location data to identify tax jurisdictions and eliminate problems associated with different rates in incorporated vs. unincorporated areas. The tax rates are synchronized with the states and updated in real-time throughout the year. For geolocation accuracy, FastTax also incorporates Service Objects’ flagship Address Validation capabilities for US and Canadian addresses. Addresses are accurately resolved to provide a precise tax jurisdiction and total roll-up tax rate. DOTS FastTax is available in four ways; as a real-time API integration, PC-based list processing, automated FTP-based list processing, and web-based Quick Lookups. We all work in a challenging and complex environment for sales tax compliance, whose rate of change continues to accelerate. By putting this task in the hands of a good automation partner, you not only reduce your own workload and labor efforts, but protect yourself from the costs, penalties and reputation issues associated with compliance problems. The end result is a process that makes an inevitable part of your sales process a little less taxing. Colorado is a very difficult state to accurately calculate sales tax in. We estimate there are thousands of tax rates that vary based on location. As with most states, sales tax rates in Colorado are a mix of state, county, city, and special district tax rates. Thus, someone in Denver, Colorado pays a different sales tax rate than someone in Boulder or Fort Collins. To further complicate the sales tax situation in Colorado, some communities also impose a use tax and/or a service fee — and a host of exemptions exist. Plus, sales tax rates fluctuate all the time. Tax rate changes in several Colorado communities such as Dillon, Johnstown, Grand Lake, Steamboat Springs, and Grand County (too name just a few) will become effective January 1, 2017. As if all of the above weren’t enough to make calculating sales taxes in Colorado challenging, the U.S. Supreme Court just upheld a controversial law in Colorado that pressures online retailers to collect sales tax in the state. New sales tax rates and the upholding of the so-called “Amazon tax” law might make sales taxes even more difficult for some retailers and/or consumers. For example, if you run an online business in California with a physical store and a warehouse in the state and sell goods to customers in California, you’d be required to collect sales tax from your Californian customers due to your physical presence. Meanwhile, you would not need to do the same for your customers in other states (unless you have a physical presence in those states). The Colorado law, however, complicates transactions for customers in Colorado. Colorado’s 2010 tax law was immediately challenged by the Direct Marketing Association (now the Data & Marketing Association), which filed a lawsuit. Now that the Supreme Court has upheld the law, some believe that other states may follow Colorado’s lead and impose their own “Amazon” taxes. So, for now, Colorado is likely the most challenging sales tax state in the nation, but these challenges could spread to other states. You have a choice when selling to customers in Colorado: navigate the complexities of calculating sales tax in Colorado — a tough task made much easier with Service Objects’ FastTax real-time sales tax API — or comply with Colorado’s use tax notification requirements (for businesses with at least $100,000 in gross annual sales). Cyber Monday shattered previous online sales records and set a new all-time high, with consumers opening their wallets and spending $3.45 billion, marking a 12.1% jump over last year’s figure and earning its place in retail history. The data, compiled by Adobe Digital Insights, surpassed initial estimates and dismissed fears that consumer shopping during the Thanksgiving weekend would hurt sales on Cyber Monday, which is historically the busiest day of the year for internet shopping. Adobe’s data measured 80 percent of all online transactions from the top 100 U.S. retailers. The record-breaking online shopping put retailers’ data quality at the top of their priority list. Many smart retailers turned to Service Objects to help them make informed decisions about their customers, relying on Service Objects to validate over 1 million of their online transactions on Cyber Monday. 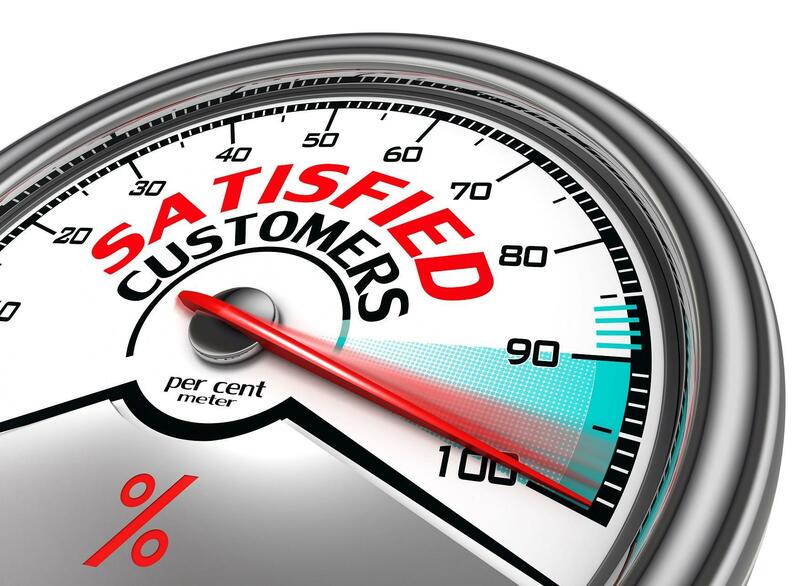 Gain a competitive advantage over the competition and increase customer loyalty. Using a data quality solution is fundamental to turning your customer data into a strategic asset. Read more about the different business challenges that data quality can solve. Chances are, you’ll overpay as you err on the side of caution. For example, your package may weigh less than a pound, yet you might estimate its weight at two or three pounds “just to be safe.” The same is true of a package’s dimensions. Over guesstimating a package’s weight or size could put you in a higher price range than necessary. Meanwhile, underestimating the package’s size or weight could result in time delays as the shipper returns your package for insufficient postage. This is a risky choice as shipping delays translate into unhappy customers (which is why most businesses overestimate their package sizes and shipping costs). Avoid overpaying by using a postage scale and a ruler to accurately weigh and measure your packages. While one shipping company may have lower rates on smaller parcels, it may be the costlier choice for larger ones. It pays to compare prices. While you’re at it, choose the right type of service for the package. Is overnight service essential or would ground service be acceptable? Would an alternative shipping method, such as Greyhound Package Express or DHL Express, cost less? Though offering to pay for return shipping may seem counterintuitive when you’re trying to cut your shipping costs, you may want to consider adopting such a policy. According to a Forrester Consulting study conducted for UPS, retailers that offer convenient, inexpensive returns are likely to see an increase in sales, customer loyalty, and incremental revenue. Are you shipping your packages to the correct address? Address validation can flag you to a potential shipping problem, allowing you to correct the issue before you ship the package and find out the hard, expensive, and time-consuming way. By validating addresses before you ship your packages, you’ll have fewer packages returned to you as undeliverable, fewer upset customers wondering where their packages are, and lower shipping costs as a result. Are you still buying your mailroom supplies at the local stationary or office supply store? Though convenient, you’re probably paying too much. Again, this comes down to doing your research and shopping around. Buying in bulk also reduces your shipping costs overall. The savings could be substantial. Amex Express Checkout is a new checkout option that recently went live this month, and unlike the other payment methods it is not an e-wallet in the conventional sense. Instead of creating and managing payment accounts for one or more payment methods, the Amex system leverages a user’s existing account information, so when a user is ready to check out all they need to do is enter their Amex username and password. The same credentials they would use if they were to log directly into their online Amex account. That’s because they actually are. Like the other payment methods, the Amex system is focused on security and ease of use. The idea being that the card holder never has to enter their credit card information, instead the data is securely sent directly to the online store from American Express and so both the online merchant and the card holder can rest assured that the provided information is current. With other e-wallet systems, it is up to the card holder to update their card information if a card expires or a new card number is issued and so on. One would think that with so many secure payment options available today that an order validation service in your checkout system would be unnecessary, but that’s not the case. These payment systems may be designed to be secure and easy to use, but there is still a potential for fraud. These checkout systems primarily only fill out the billing details and have nothing to do with the shipping details or other aspects of the order. A service like DOTS Order Validation can take a look at the individual details as well as the big picture to help prevent fraud. Also, not all customers are going to use these sort of checkout systems; so an online store will almost always have an option available for a user to enter their own checkout information. Otherwise, the store risks losing a potentially large customer base. If a fraudster has an opportunity to circumvent additional security then they are going to take it, and they will most likely not choose these checkout systems. Which means that a service like OV will play an even larger part in helping fight fraud. Overall, e-commerce shopping cart programmers would do well to make use of these e-wallet systems and use a service like DOTS Order Validation. A service like OV is not in competition with these type of systems and it will still have a place in helping prevent fraud. Contact validation is commonly used to prevent fraud and build businesses. The business case for contact validation is well established, and these tools are essential to protect and build your business. However, did you know that your customers benefit from validation, too? For example, showing your customers that they are protected reassures them, builds your credibility, and is helpful to both the sale and future visits. No one wants to be vulnerable to identity theft. No one wants their name spelled incorrectly and their packages shipped to an incorrect address. 1. Form validation protects customers and non-customers against identity theft and fraud. Most businesses first explore form validation as a means of protecting themselves from fraud. According to Javelin Strategy & Research’s 2014 Identity Fraud Report, credit and debit card fraud was an $11 billion problem for merchants in 2013. Individuals are concerned as well. After all, it’s their identities and credit and debit cards that are being stolen. Whether someone is a customer or not, form validation protects an innocent party from identity or fraud theft should a fraudster enter your form or checkout processes. Form validation services can check the shipping and billing addresses against IP address and phone number, which can thwart criminals from placing orders. Telling your customers and prospects that you perform contact validation can eliminate consumer fear and boost your credibility. In addition, should your security be breached or your contact / customer information stolen, your system will not allow any customer information to be changed without sending warning flags. Form validation can serve as a second line of defense should a breach occur. 2. Address verification helps ensure faster shipping and guaranteed delivery. Fast shipping is a must in the era of mega-retailers that offer same day deliveries and free two-day shipping. Today’s customers expect to receive their packages right away and have little patience for shipping delays. At the same time, you want your package to arrive safely in order to reduce the likelihood of lost merchandise, cancellations, or additional shipping costs. Address validation helps to ensure that your customers get their packages when promised — even if the customer inadvertently transposed a number or misspelled a street name in the shipping address. If the package doesn’t arrive, guess who the customer will blame despite their own data entry mistake? By verifying addresses at the point of entry, you can correct incorrect address information, make sure the address conforms to US Postal Service standards, and ensure that the address is deliverable. Address verification is a valuable customer service tool that prevents unnecessary shipping delays and undeliverable packages. Being able to accurately verify addresses, delivery dates, and delivery times from a perfectly standardized address demonstrates that you know what you are doing and are operating an efficient business. Instead of immediately blaming you when a package doesn’t arrive as expected, your customers may realize that the package may have been delivered (after all, your system verified and, even corrected, the address) and someone on their end may have forgotten to pass it along. 3. Name validation helps you to get your customers name right. A sure-fire way to offend someone is to spell his or her name wrong. Another way to offend someone is to assume you know his or her gender based on a first name. For example, Pat, Chris, J.C, Dana, and Val could be men or women. It’s hard to tell based on names alone. Guessing could be a disastrous mistake. If you offer gender-specific products, name verification tools can help you filter names that aren’t gender specific. Make sure you have your customer’s gender correct or neutralize your messaging, but never guess. Getting your customers names and genders right helps to avoid offending them. It also helps them to feel valued and as if you know them. Even when doing business virtually, customers want personal service. They’ll return to businesses where they feel known and valued. Name validation can help you to build loyalty. 4. Email verification ensures timely communications via email. It’s not just about shipping packages; it’s also about communicating. Airplane flights, package delivery notifications, service notifications, event invitations, and other alerts all arrive via email. What happens if a customer accidentally forgets the dot before the “com” in their email address? What happens if a customer enters “gnail” instead of “gmail” in a gmail address? Your email messages will never arrive. Email verification checks the syntax, removes extraneous letters, and fixes common typos in level 1 domains. Timely email notifications are as important as timely package delivery. Impress your customers with effective use of emails – they’ll thank you for it! Email verification also helps detect possible fraud. For example, if a fraudster attempts to use a customer’s data but enters a bogus, catch-all, or disposable email address, warning flags will be raised. Your customers may never know about fraudulent attempts, but they’ll benefit nonetheless because of the extra security measures you have in place to protect them. 5. Demographic data helps customers receive customized product and service opportunities. Demographics targeting can be a valuable tool for businesses and customers alike. Using demographic data to match products and services to prospects is a fantastic way to build your business and help your customers to feel valued and known. Customers appreciate receiving relevant offers. Sending accurate, specific alerts about products and services to those who want, need, or would benefit from them isn’t just about increasing your sales; it’s also about connecting with them. Demographic targeting allows for greater personalization. In addition to recommending products based on your customers’ interests, past purchases, location, and other demographic details, you can also promote content that speaks to your customers. If your content speaks to your customers, it probably also speaks to their friends. Thus, they may share your offers, helping to build your business through word of mouth. Use demographics to dive deep into your customer database to spot trends that can help you focus on what your customers want and need. Look at age, gender, and income to discover what drives purchases in your sales area. Determine what to write about and what products and services to offer by evaluating news stories in conjunction with your demographic data. Contact validation is just as important to your customers’ experiences with business as it is to internal protection and growth efforts. With the right contact validation tools in place, you’ll protect your customers from fraud, ensure prompt package and email delivery, build loyalty, and understand who your customers are. Everyone wins, and your customers will thank you for it. Although the Internet allows for many business benefits, it is also an effective way that fraudsters create bogus leads or orders—ultimately creating business headaches. Online fraud is a pervasive issue that costs businesses billions of dollars every year in lost merchandise, customer satisfaction, and resources. There are many data quality companies who provide services to verify your online leads and orders, but how exactly do they go about doing that? And how are you supposed to decide which service provider will best meet your fraud-prevention needs? If the lead or order validation service you’re using does not employ advanced cross-checking algorithms, you risk accepting accurate but not genuine data in your database and systems. Your sales team may waste time trying to qualify fake contacts, or you may send out a shipment without knowing if the credit card used is legitimate and actually belongs to the intended recipient. If your business relies on ecommerce transactions for revenue, Order Validation is a must to protect your business. And if your sales team relies or accurate, genuine leads to bring in new sales, a Lead Validation tool is great for building your business. If you’d like a demo of our data validation service or a free trial, please give us a call! ‘Tis the season! With these three proactive tips, online retailers are sure to secure a profitable holiday shopping season. Believe it or not, Cyber Monday is only DAYS away and predictions of a record-breaking Cyber Monday have been giving the online retail community a lot to be excited about. Recently reports that 53% of U.S. adults have plans to shop on Black Friday with 72% doing it right from the convenience of their computer means online holiday shopping will actually start before Cyber Monday. So get ready Internet storefronts – get ready, and get ready now. Read Full Article Here. Since May 2013, there has been a lot of talk and discontent about the Senate approving the Marketplace Fairness Act. This Act will grant states the right to require online and catalog retailers, regardless of location, to collect sales tax at the time of a transaction; the same way that physical retailers are already required. Take note: The law only impacts those retailers generating at least $1 million in sales outside of the states where they have physical operations. While the House is moving more cautiously than the Senate, the Marketplace Fairness Act will arguably help the numerous states facing significant budget shortfalls. In fact, many state governors are putting extra pressure on congressional leaders to pass the bill so they can start collecting this new revenue immediately. Adversaries of the bill suggest that these states have a spending problem rather than a revenue problem. For more information about your state representative’s position, visit The House of Representatives. Regardless of your personal or political ideologies, if you have an online or catalog revenue stream, it is vital to take the appropriate actions to prepare your business, large or small, for the pending sales tax reform. Our real-time web service API, DOTS FastTax, provides sales and use tax for US and Canadian addresses. DOTS FastTax integrates directly into your shopping cart system and can be configured to manage multiple sales and use tax lookups by street address, postal code, or city/county/state. To ensure that only the most accurate tax rates are returned, DOTS FastTax service utilizes our address validation service behind the scenes to validate the full-street addresses to the ZIP+4 level. If you are curious as to how consumers feel about the Marketplace Fairness Act, Mashable has a short, informative infographic outlining those in favor and those with disapproval. Since the beginning of the year, 25 different cities or counties in the state of Arkansas have had changes in their sales & use tax rates. In Texas, the state tax rate is 6.25%, but many cities and counties in the state may add up to 2% to that for a total maximum combined rate of 8.25%. Washington State has over 350 different tax districts. In fact, take a look at any U.S. state or Canadian province and you’ll find a host of tax-rate fluctuations and variations. How do ecommerce sites handle the complexity of so many local tax rates and keep up with the continual tax changes that occur throughout the year? Unless their shopping carts are customized, more than likely, they aren’t. Many people using standard shopping carts are not calculating the local-level sales tax rates. Instead, they use their shopping carts’ built-in state-level sales & use tax tables. Many people might not know that standard shopping carts do not calculate local sales tax rates. They provide single tax rates per base region (State). Pro: Easy integration; low initial setup costs. Con: May leave a company with a hefty tax bill at the end of the quarter. By only charging standard state sales tax rates, and not specific tax rates based on the locations of sales, it means that at the end of each quarter, companies must account for the missed local revenues and remunerate each tax jurisdiction within each state in which they have sold goods. One way around the problem of standard shopping carts that only calculate single sales tax rates per state is to customize it to include location-based tax calculation. Con #1: Setup is time-consuming and tedious. Customizing a shopping cart to calculate local taxes is no trivial task. It requires searching each state’s individual tax districts and then creating tables to include all of the various city and county sales & use tax rates. Con #2: Sales & use taxes rates often fluctuate throughout the year, and new tax districts are often added as cities grow or become incorporated. This means that ongoing research and updating of your tax tables are required. The better solution? Use a tax lookup Web service that provides the current sales & use tax rates without requiring any further effort from you. A Web service is simply a software system that supports machine-to-machine communication over a network: your shopping cart and a remote server that hosts the service. With a tax lookup Web service in place, each time a customer makes a purchase, the Web service invokes an operation to calculate the most current tax rate based on the customer’s location. It’s a no-muss-no-fuss solution that allows e-commerce companies to focus on their products and sales rather than committing IT resources to build and continuously update a system that can often be had for a minimal monthly fee. DOTS FastTax is one such system. It’s one of the leading tax lookup Web services because for pennies per transaction, it offers the most current tax information for every county, city and state/province in the United States and Canada; and once a month, the FastTax development team is hard at work updating the FastTax database with the most current tax rates, painstakingly gathered from disparate resources. What makes FastTax stand out is the developers behind it that are committed to accuracy, and their experience in dealing with contact verification issues. FastTax is designed to calculate sales tax based on customers’ exact locations which is preferred over a simple ZIP/Postal Code lookup, since postal codes may run across more than one tax district. FastTax does provide a ZIP/postal code lookup operation that can be used if an address is not available to you, or as a failover, if the given address is invalid. Having an automated system in place to calculate sales tax in your shopping cart is a smart solution for e-commerce companies because, more than just saving time and money, it saves you from the aggravation of having to deal with the complexities inherent in calculating and keeping current with all North American sales & use tax rates. FastTax is the Web service of choice for many online companies because it provides the most current sales taxes per customer locations, with an available ZIP/postal code lookup. So, while tax complexity itself is a kind of tax, by using FastTax, you can free yourself from those imposed by your shopping cart. Not another marketing theory: Read how technology works on the issues that may be limiting your sales and/or damaging your online reputation. Successful e-commerce companies have three things in common: Good online reviews, reasonable delivery fees and prompt delivery of goods. Web services can help you streamline delivery rates and assure your products are delivered on time: key ingredients for keeping customers in your online sales process and inspiring them to leave positive feedback in return. Has this ever happened to you?You find the perfect product at the right price, only to find out that the shipping rates nearly double its price? If you’re like me, then you click out and search for another place to buy your product. We’re not unique in this. Some studies estimate that up to 75% of all shopping carts are abandoned before sales are closed, and report that the #1 reason is high shipping rates. Why are some shipping rates so high? Location is the first thing that comes to mind; but then there’s that dreaded “handling” fee that often inflates the cost. Companies can often keep people like us in the sales process by simply tightening up on distance calculations, thereby reducing “handling” in the sales and shipping process. This is something that can easily be done by integrating a hosted Web service that provides them with the information and automation needed to make it happen. Take, DOTS Address Geocode, it’s a Web service that pinpoints customers’ exact locations the moment they’re typed into online forms; companies can use this information to offer delivery rates based on actual distances rather than geographic zones. While DOTS Address Geocode pinpoints customers’ locations, it also cleans up their addresses, fixing things like ZIP codes and left-out apartment numbers, for example. It can also push the clean customer data into sellers’ CRM systems. That means less “handling” via no re-keying efforts and fault-free delivery. Undeliverable mail accounts for billions of dollars of waste in the US alone, and some of that comes back to you and me, combined in “handling” fees associated with reprocessing bad deliveries. Undeliverable (or late-arriving) purchases also account for the majority of online complaints when it comes to rating customer experience. To sum it up, pinpointing exact customer delivery locations and cleaning up addresses to assure deliverability help you not only in your efforts to reduce handling fees, but also in building and maintaining your online reputation. Offering better value and better customer experience drives more loyalty and ultimately more revenue to online companies. Good reviews attract people like me to initiate business with online companies in the first place; reasonable handling fees inspire us to stay the course and complete sales processes; and quick deliveries on our purchases gets us to leave positive feedback in return. DOTS Address Geocode Pinpoints customer location and assures address deliverability while instantly updating the seller’s CRM system. It’s a simple solution to help online sellers offer better bottom-line prices; streamline sales and shipping processes and keep customers coming back and/or sharing their positive experiences.